Roller Banners are a great marketing tool for selling your business! 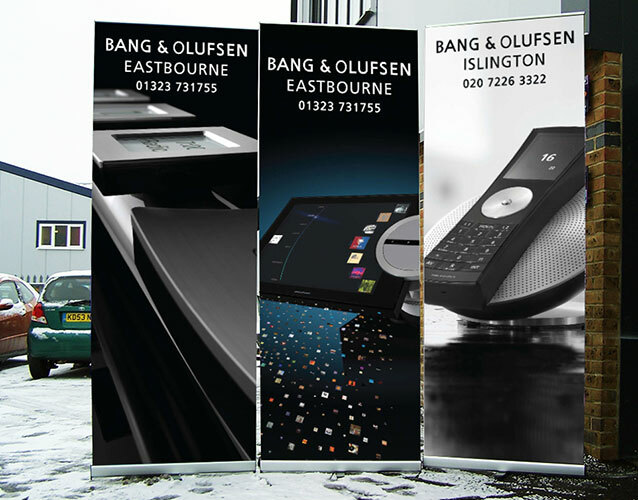 We supply roller banners (also known as pop up banners) not just in Eastbourne and East Sussex, but to firms across England. If you need a roller banner, call us now. Bang and Olufsen are a worldwide organisation known for their high attention to detail and quality. We supplied these roller banners for the Eastbourne and Islington branches. Roller banners are an exceptional marketing tool - whether you need a roller banner in Eastbourne, or for a worldwide company, Signtek are able to supply the highest quality product. 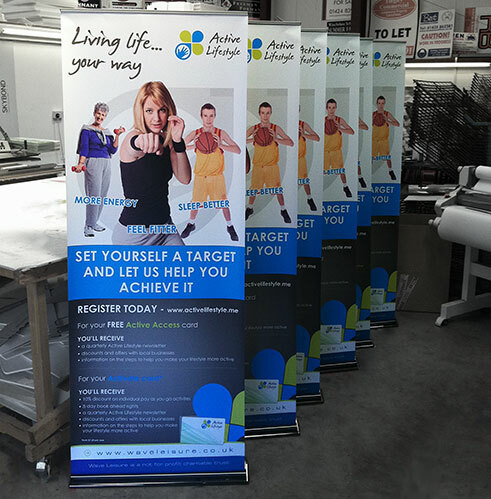 This roller banner was supplied for an exhibition attended by Eastbourne's "Lushington Chiropractic." The turn-around time for this roll up banner was blisteringly fast, with our staff working over the weekend to get it designed in time for our client. Not all sign companies would put the effort in! 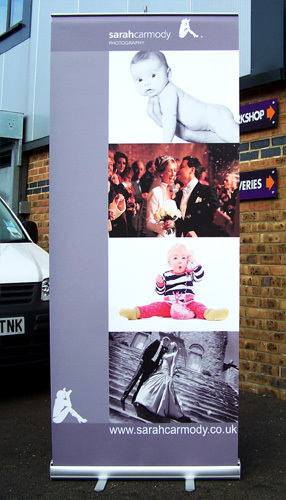 This is a digitally printed and laminated roller banner for a photography studio based in East Sussex. We printed these roller banners to promote The Guide magazine, for the Observer Newspaper series. We also printed large format PVC banners for the same marketing campaign. 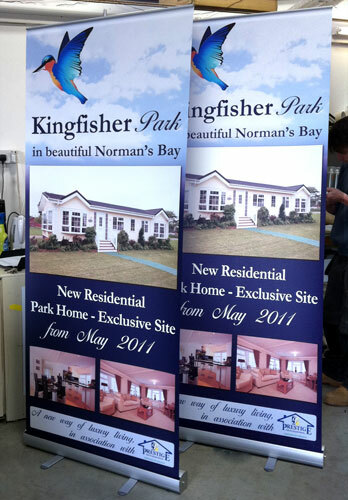 These are just 2 of the pop-up banners we've printed for a new park homes development in Sussex, called Kingfisher Park Homes. 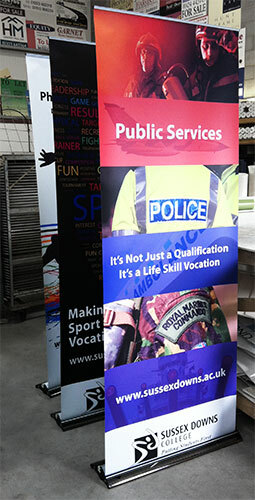 These banners will be touring exhibitions around Eastbourne - we delivered them within 24hours of receiving the order. "Just got the banners, can't believe how quick you did them all, and they are much better than more expensive ones we've had in the past. Thanks again." We designed and supplied this pop up banner for Mmm Wedding Cakes, for use in wedding fairs and exhibitions. 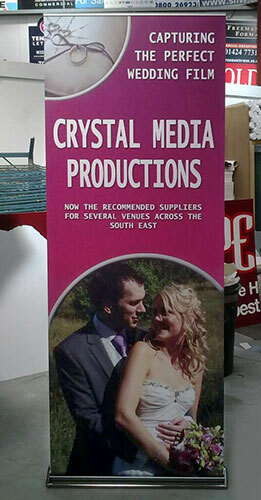 We have supplied many banners for wedding fairs such as this! 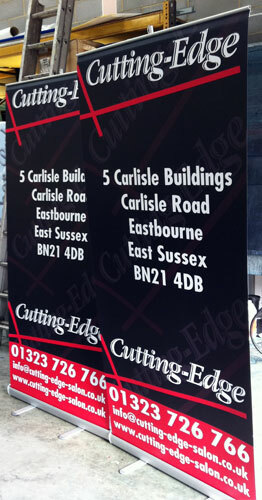 We supplied these roller banners for Cutting Edge in Eastbourne. These banners appeared at a large exhibition, and helped the company to stand out from the crowd! Call Signtek now if you'd like a quote for a roller banner, wherever in England you are. 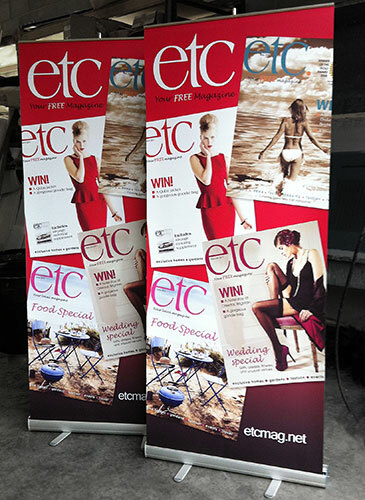 We supplied these pop up banners for Etc Magazine, a popular magazine distributed to 50,000 people across Sussex. We supplied these roller banners for Sussex Downs college. We have supplied roller banners for large companies across England. 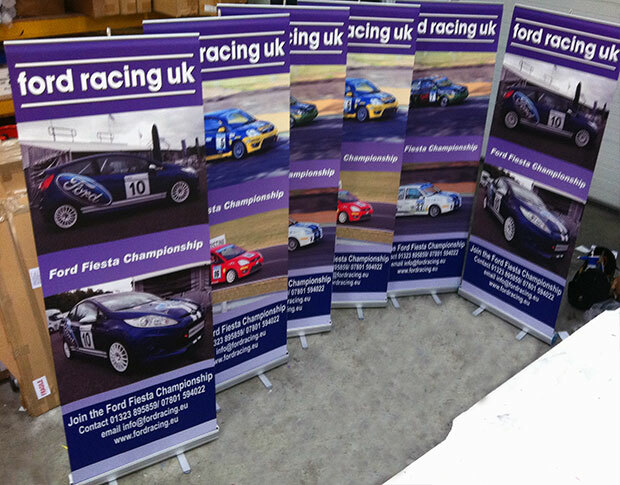 We have supplied many roller banners for the racing organisation Ford Racing UK. 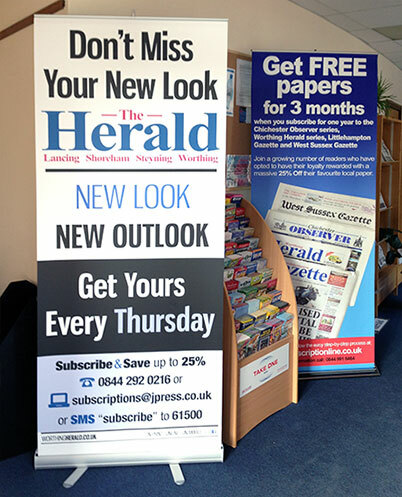 We have supplied many pop up banners for Sussex Newspapers, for their offices and events across the South of England. 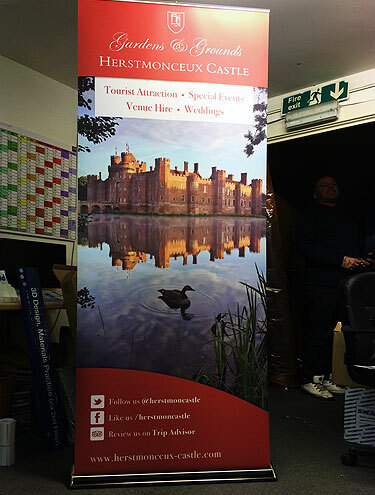 We supplied this beautiful roller banner for Herstmonceaux Castle. 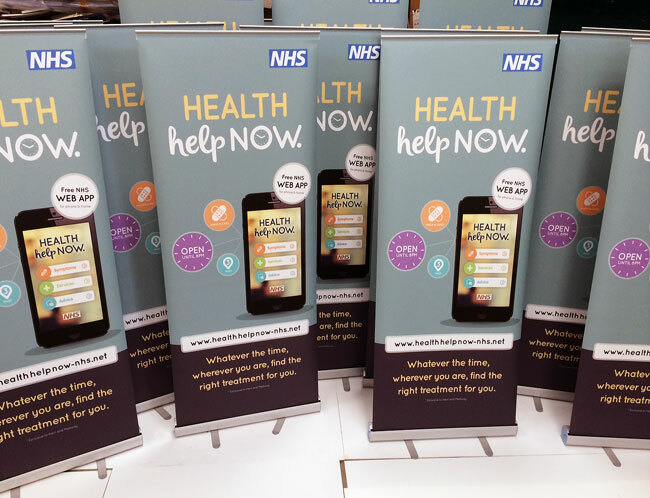 These are roller banners printed and supplied for the NHS. 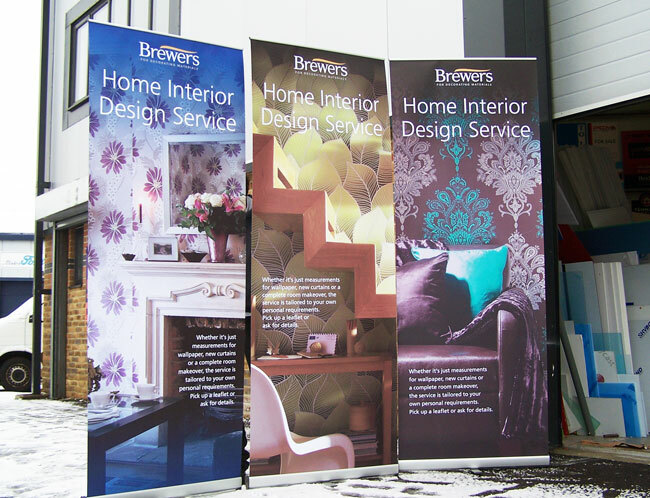 We supplied these banners for Brewers, a national chain. 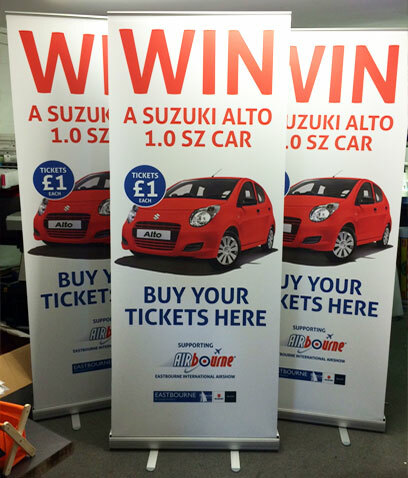 We printed these roller banners for a high profile competition. These roller banners are a cheap and effective way of marketing your business. 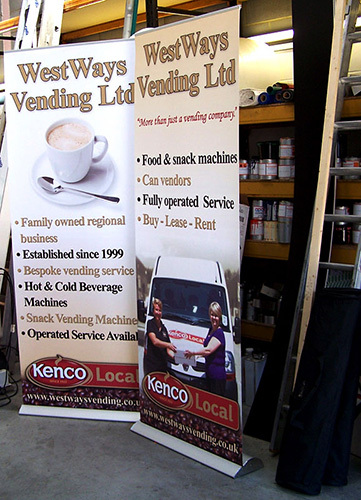 We printed these exhibition banners for Eastbourne based West Ways Vending. We supplied this roll up banner for Crystal Media Productions, a video editing firm who operate across the South East of England.